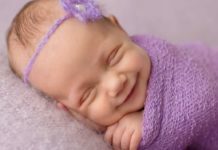 – What should a safe baby room have and look like? After the arrival of new baby, it is very much exciting for the whole family. This is one of the most fun and joyful event in the family’s life. After the arrival of your newborn, there are some associated tasks and responsibilities that you need to learn for child safety. Preparing a room for your child’s safety is also important out of all the tasks in the preparation of the baby’s arrival. Parents often want to offer the best room for their child’s safety. Most of the couples would probably start planning their child’s safety the moment they found that the wife is pregnant. So, you are now busy preparing things for your child’s home safety. 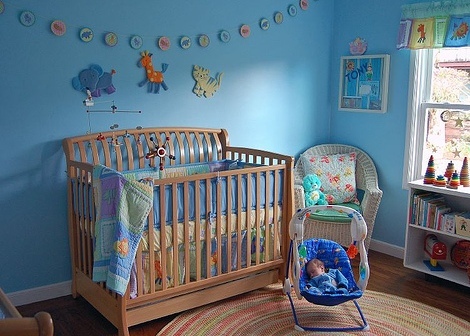 Preparing the baby room is one of the most important tasks that you need to consider for child safety. You need to know what are the basic things that provide child safety at home. You need to create a room that is worth living for your child. Are you confused with what child safety products you have to buy and what things you have to install in your baby room? Here are the things you have to install in your baby’s room for your child safety. Mattress is a sleeping accessory worthy of scrutiny. The ideal mattress for your child safety should be perfect in size to fit snugly inside the crib. The mattress must fit tightly all round the crib for safety reasons. If there is a space between the edges of the mattress and the side of the crib, there is a possibility for your child’s arms to get trapped in the space. Hence, your baby could get suffocated if his or her head got caught. Therefore you have to purchase the mattress that fits tightly inside the crib and gives perfect child safety. The crib is the most important thing that you should buy or create for your child’s safety. Your newborn will spend most of the time in his/her crib. So, the crib should be chosen and prepared meticulously. Most of the mothers will get a question as to how to choose a crib that provides child safety? So, make sure that slats in the crib are no more than 2 to 3/8 inches apart. For your child safety, this is the standard measure for the crib’s slats. Check that you can manipulate the drop side easily with just one hand as there are some instances that you will need to hold your baby on your other arm. Ignore those cribs that feature corner posts that tend to extend above the rail. If you purchase this kind of crib, there is a possibility that the clothing of your baby may get hung on them especially when he starts moving on his own. The bumper pad should also be taken into consideration as this also plays a very important role in your child safety. Basically it takes the role of protector. It gives child safety by protecting your child from direct contact with the hard slats on the crib. Moreover, it can be a fun point to apply whatever decorating style you have in mind. However, it is vital to maintain the standard measure of the bumper pad in order for it to fully perform its role. The bumper pad must have at least six straps to grip it in place. The straps should be closed with snaps as this offers more child safety with those that are tied to the crib. In addition, it is a constraint for the bumper pad to fit tightly around inside the crib. Similar to the mattress, the bumper pad should be fixed without leaving open spaces for the baby to bang head or block in between the side of the crib and the bumper. Select a bumper pad that has its own fabric and firm foam. Select one that will coordinate with the pattern of your crib. Discourage the use of the bumper pad when your baby is capable of reaching a standing position. Note that the pad can be baby’s stepping stone to crawl out of the crib; so watch out for this. Swaddling is an effective child safety tip. Swaddling is the art of wrapping your baby with blankets to comfort and protect it from adverse temperatures. It helps avoid sudden infant deaths. A bath tub in your baby room is another essential item for your child’s safety. A small plastic bath tub can provide a comfortable bath environment for your little one. Therefore, try to buy one that fits the bathing needs of your baby. Make sure that before using the tub it is completely clean. Be careful and never leave your baby alone in the bath tub. Changing table is not that much important for the baby room as the baby can be changed on any surface. But, it can be of great help to mothers and guardians. It can be a back saver for everybody as it places the baby at a comfortable height. You can dress him or her, or change the diapers comfortably. It makes the clothing and diaper changing easier and faster. It also helps to keep everything handy and at easy access. While choosing a changing table for your baby room, make sure that it has a comfortable restraining belt to keep your baby while you wipe and change his or her diaper. Also, ensure that it should have a safety railing around the top and should be strong. Prior to using it, it is best to test it to make sure that it doesn’t bob. And, at the time when you change your baby’s clothing or diaper, keep an eye at all times on your child. Never leave the baby alone on a changing table even for a split second. For safety don’t enter into your baby’s room at night to feed her not being able to see in the dark. The nightlight offers you the possibility to see where and what you are stepping at so you don’t get bumped or tripped into things inside your baby room. 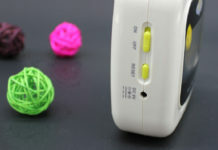 It is important, however, to ensure that the nightlight is out of your baby’s reach. If you have placed it at floor level, that might attract crawling babies to sockets. So, you have to avoid that and instead you can install a dimmer switch for the lighting fixture of the baby room. You can also use a lamp. There are a lot of other requisites that your baby room needs to have. It may include the layette, a baby sling, books, baby clothes, and health care items for safety. But, other than these material things, every nursery needs caring adults, not just parents, who will be a part of the baby’s life. How to decorate room for your child safety? Finally you have got all the essential items for your baby room. The next thing to do now is to it. Make the room like a heavenly place. To decorate a room, it needs careful planning, attention, time and effort. Hence, be ready to apply all of these when decorating your baby room. Always remember that your baby will grow old. With this in mind, while planning for a baby room, you should not give the room too much of a baby feel. The colors that you may have chosen, like pink or blue might not be great for grown ups. Therefore, maintain a color that might be great for both babies and preschoolers. You have to choose furniture and wall treatments that can suit every age and gender. You can use accessories to give the room a baby feel, but don’t overdo it. It is also important to ensure that there is a comfortable place for a bed as this may be of great use once your baby grows out of the crib. 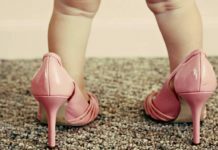 When decorating your baby room, it is best for you to choose either cork floor or area rugs on a wood. If you use area rush rugs, they can be replaced easily than carpeting in case they get dirty and the cork or hard floors are easier to clean up. They don’t even hide allergy-annoying things like dust and dirt. When it comes to lighting, a nightlight is not only a thing of focus here. It can help you from bumping and tripping on things inside the nursery every time you visit the baby room at night to feed your baby. It is also necessary for you to take note of the light in the baby room in the daytime. You have to notice the angles of sunlight in your baby room at day time. Don’t place the crib at a spot where there is a direct sunlight in the morning. You also have to notice the place of the crib at night because there is the focus of streetlights at night time. In your baby room, you probably need more storage space than you think. So, make a plan to build a room with enough space for you to store away baby’s accessories once the child gets older. Adequate space allows your baby to walk and crawl easily and offers baby safety. Your child will require bigger clothes, then shoes, and other accessories for his age. As your child grows, the number of toys may also increase. So you need to plan the space accordingly. Possibly a time comes for every mother or father to spend a number of nights in the nursery with their baby. The situations may be rocking the baby to sleep or reading him or her stories later on. So, it is important for every nursery to include a rocking chair or simply a comfortable chair where you and your child can spend some bonding hours. 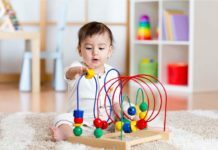 How to turn your baby room into a child safety zone? There are a lot of things that you can consider to make your baby room truly worth living for child safety. 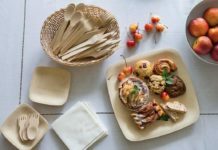 Just like you, your baby will also need a room that is safe from whatever environmental harms. Child safety is the main rule to consider. So, before transferring your baby from your room to his/her room, make sure that everything in place is safe. Make sure that the crib you have installed for your baby has a firm mattress and doesn’t include decorative patterns. Also watch out for corner posts. Check and make sure that the crib slats are narrow. Never ever leave any space for the head of your baby to get wedged between these slats. Ensure that the changing table has a preventive strap and three raised sides. Avoid things like comforters, pillows and soft stuffed animals from the crib, because these things might suffocate your baby, especially when your baby is in between the age of 4-6 months. Once your child starts reaching out for things, it is best to take down all decorations or toys you have placed in or strung across the crib. It is best for you not to buy a toy box that features a heavy hinged lid. There is a possibility that these things might fall on your baby especially when it reaches to get a toy. Use a soft rug for the floor. This will offer child safety by preventing your child from injuries and pain from those unavoidable falls.